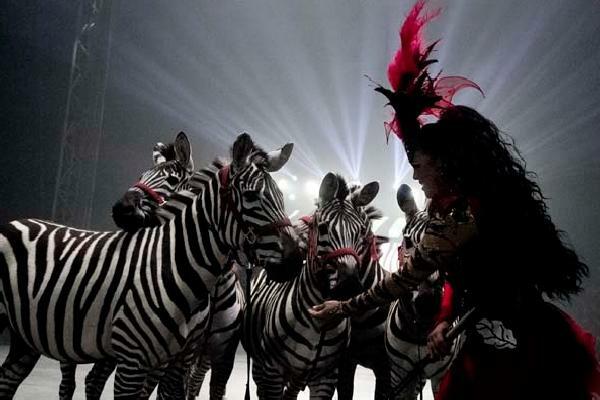 *The “UniverSoul Circus” one of the only successful circus’ run and operated by mostly African Americans has grown tremendously since its founding 23 years ago, is now playing at the Stub Hub Center in Carson, California. 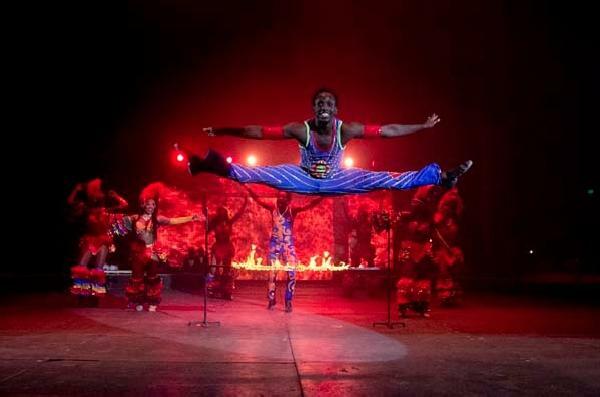 The “UniverSoul Circus” will continue until April 17 and seeks to inspire people by showing the full spectrum of culture that exists across the planet displaying acts that are both entertaining and mesmerizing. 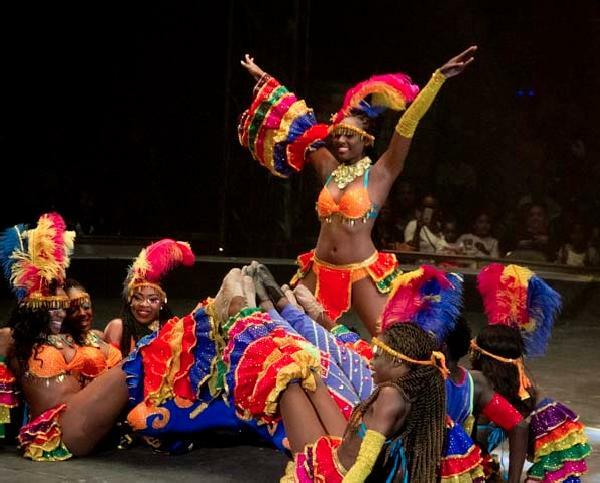 Highlights of the show are the three Ethiopian contortionists called Trinity, the charismatic team of colorfully garbed dancers titled the Caribbean Limbo and the Chinese team of acrobats doing everything from feats of acrobatic strength to highflying trapeze acts. The show is hosted by the charismatic ringmaster Tony Tone, who danced and joked his way through the show highlighting and introducing the main acts and was contrasted by the three of the four clowns performing in this 2016 show. 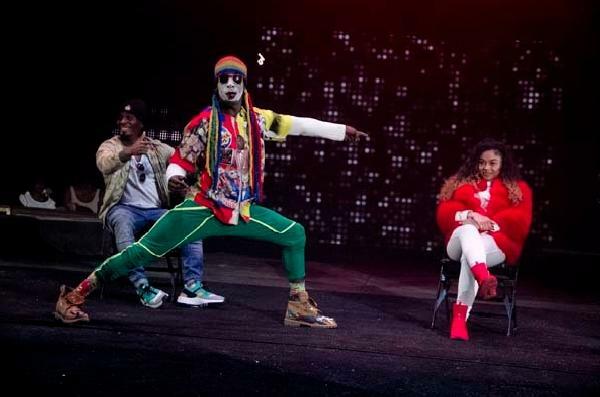 These clowns brought much comedy to the show including a wordless performance using whistles as they moved around four celebrity guests for a hilariously entertaining dance off. The guests included singer Howard Hewitt, and comic actor Kel Mitchell. The “UniverSoul Circus” pulled out no stops bringing the heavy machines like the “Wheel of Death,” a huge metallic Ferris-wheel-like contraption that required the performers to use gravity, torque and centripetal forces as they balance themselves and each other while twirling, flipping and even doing a tricky mid air summersault while spinning. Three motorbike stunt riders bravely flipped and jumped over the crowd under the relatively small tent erected by the circus inside the parking lot of the Stub Hub Center. The “UniverSoul Circus” is a family oriented show that delights all in a positive environment that is recommended for people of all ages. For more information about the UniverSoul Circus or to get tickets, go to http://www.universoulcircus.com. I’ve no doubt the human performers at the Soul Circus are amazing, but there’s no denying that the animals are treated cruelly, as is the case in ANY circus that uses animals. Let’s make animal “entertainment” a thing of the past and celebrate the acrobats, clowns and other artists who make this circus what it is. When the animals go, I’ll be the first in line to buy a ticket!